The prototype of the Planter’s Punch dates back 200 years and could be considered the template for every tropical drink that followed. 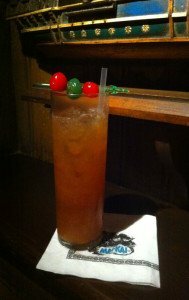 The Mai-Kai’s strong Special Planters Punch is an overlooked classic on a cocktail menu full of classics. Just don’t confuse it with the medium-strength (and much less flavorful) Planters Punch. In his 2010 book, Remixed, Tiki cocktail historian Jeff “Beachbum” Berry theorized that Donn Beach discovered the Planter’s on one of his rum-running trips to Jamaica during Prohibition. Click on the article at right for Berry’s excellent research on how the Planter’s Punch influenced nearly every 20th century Tiki drink, from the Q.B. Cooler to the Zombie. Of course, Donn Beach went on to open the world’s first Tiki bar, Don the Beachcomber, in 1934 in Los Angeles. He had five versions of the Planter’s Punch on his 1930s bar menu, Berry writes in Remixed. 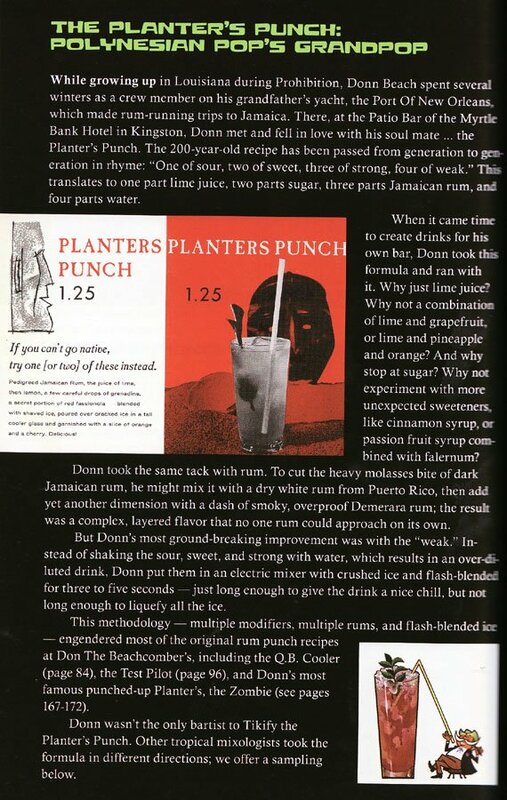 Of those, Don’s Own Planter’s (see recipe below), is most likely the version that inspired The Mai-Kai’s Special Planters Punch. If you’ve been following these reviews, you’ll know that The Mai-Kai’s original mixologist Mariano Licudine was privy to Donn Beach’s recipes during his 16 years working at Don the Beachcomber restaurants in L.A. and Chicago. 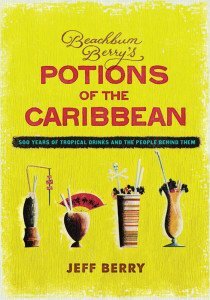 In his latest opus, Potions of the Caribbean: 500 Years of Tropical Drinks and the People Behind Them (2013), Berry goes into great detail on the history of the Planter’s Punch and includes several more newly uncovered historical recipes. The modern recipe that emerged early in the 20th century was simply equal parts rum, lime and sugar: “The Holy Trinity, Jamaican style.” It was simple, yet extremely flavorful when used with the right rums and sweet elements. Donn Beach realized this, and he used this template as a foundation for his tropical drink empire. 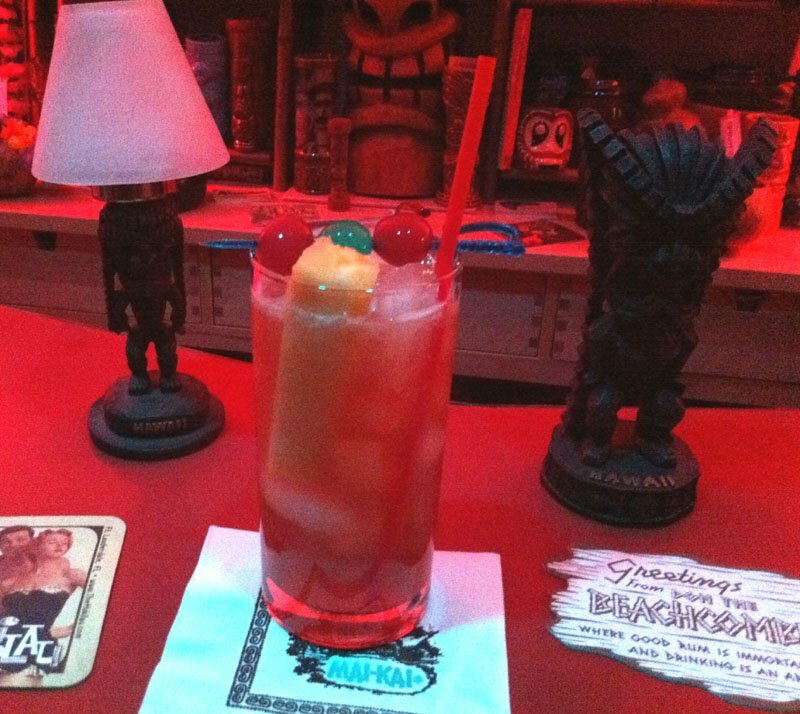 But, according to Berry, “a Beachcomber Planter’s Punch was to a traditional Planter’s what Gaudi was to Gropius.” Meaning, Beach took a simple structural formula and created brilliant Bauhaus-style concoctions, such as the Zombie. Of the 60 “Rhum Rhapsodies” on an early Don the Beachcomber menu, 33 had their roots in Jamaica’s national drink, Berry writes in Potions of the Caribbean. But while most of Beach’s cocktails went off on creative tangents, his Planter’s recipes remained true to the original, with some special flourishes, of course. Check out the recipes below for two perfect examples. Only at The Mai-Kai can you taste a 200-year-old classic, reinvented after Prohibition by the grandfather of tropical drinks, embellished by a mid-century mixology master, and reverently kept in a time capsule for the past half century. 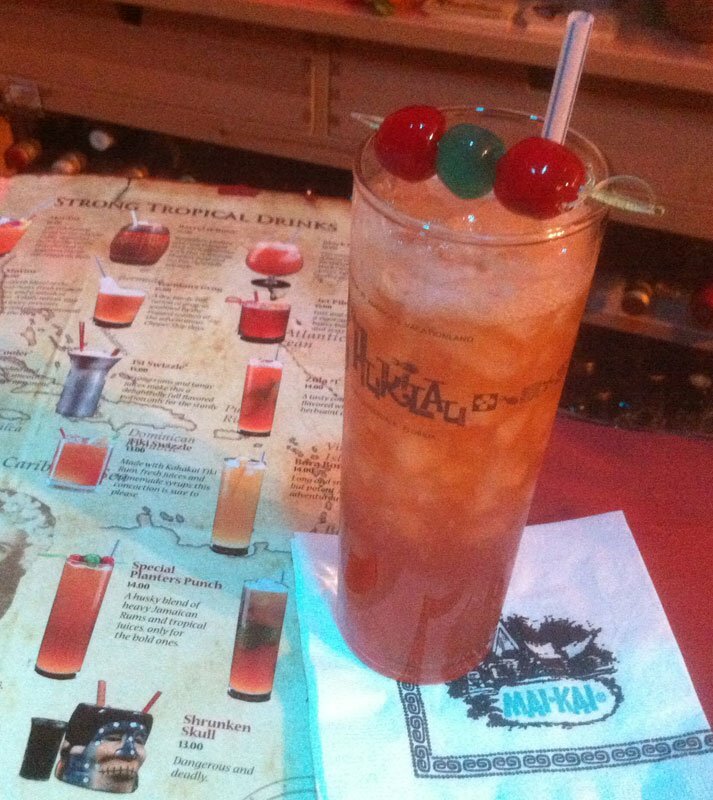 A husky blend of heavy Jamaican Rums and tropical juices, only for the bold ones. Flavor profile: Dark and rich rums, lemon juice, bold sweet and spicy notes. Review: Very strong yet drinkable, complex yet simple. A classic Planter’s. 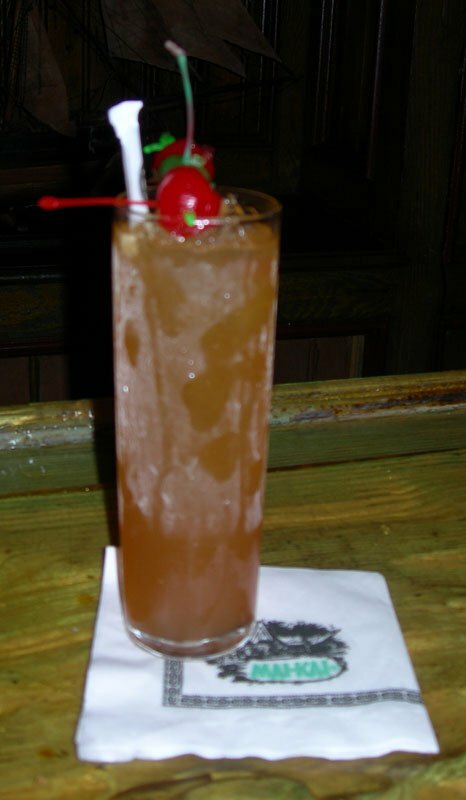 Ancestry: Featured on The Mai-Kai’s menu since the restaurant opened in 1956, the Special Planters Punch is a descendant of Don’s Own Planter’s (and possibly other Planter’s recipes) by Don the Beachcomber. Bilge: Planter’s or Planters? While most references include the apostrophe, all of The Mai-Kai’s menus we’ve seen forgo the punctuation. Shake with ice cubes and pour everything into a tall glass. Garnish with speared cherries and pineapple finger. * To prepare a standard honey mix, combine equal parts honey and water and stir until liquid. For a rich honey syrup, which we suspect The Mai-Kai prefers, make it 2:1 honey to water. Feel free to make large batches and store in the fridge (it stays liquid). * Our rums of choice in this drink are 4-year-old Flor De Cana Extra Dry from Nicaragua (a great substitute for light Puerto Rican rum) and Myers’s. There may be better dark Jamaican rums on the market, but this old standby provides the perfect flavor for a Planter’s Punch. Pulse blend with 1 cup of crushed ice for 3-5 seconds. Pour into a tall Zombie-style glass. Add more crushed ice to fill. Garnish with three speared cherries (two red, one green). 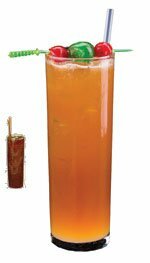 A long time in the making, this tribute recipe comes very close to the complex Planters Punch recipe of Mariano Licudine. All the ingredients work in perfect harmony to create a tropical drink concerto. 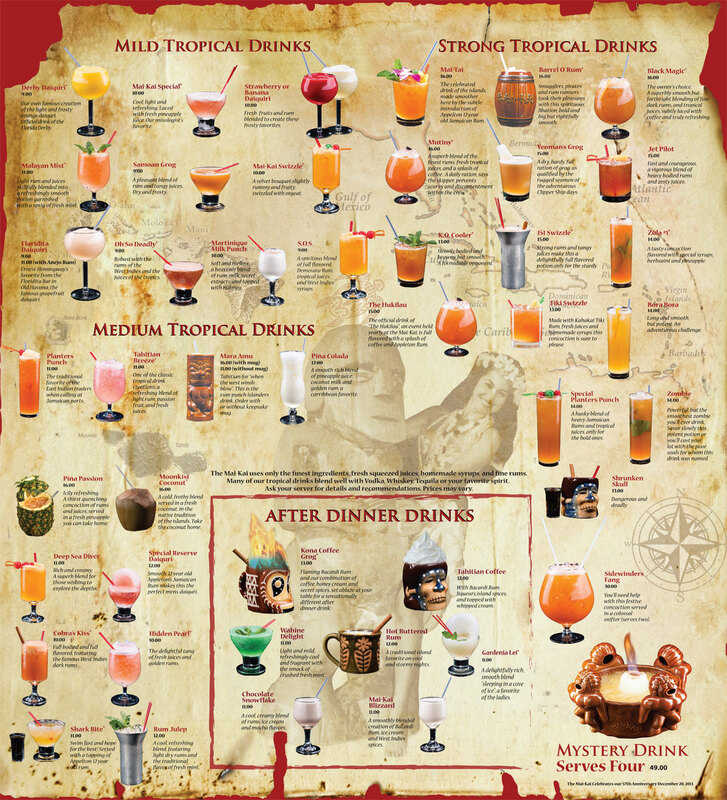 June 2015 update: During The Mai-Kai’s change-over from Lemon Hart Demerara rum to the Hamilton rums from Guyana, we learned that the Special Planters Punch contains 151 rum, not 80-proof Demerara as we had originally thought. So the tribute recipe has been updated from its original rum proportions (1 ounce gold, 1 ounce Demerara 80, 1/2 ounce dark Jamaican). We also dropped the 1/2 ounce of club soda and increased the honey mix from 1/2 to 3/4 ounce. 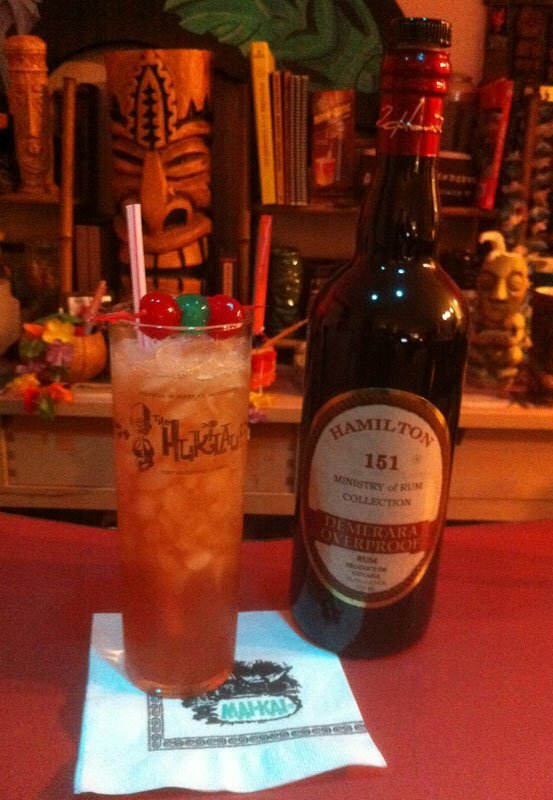 The result is similar to the rich and savory drink served at The Mai-Kai, featuring the extra oomph of the Hamilton 151. Licudine took the relatively simple Don’s Own Planter’s recipe and built a complex burst of flavors by using some old Don the Beachcomber tricks and giving it The Mai-Kai’s distinctive flair. * Like other strong drinks, the rums here are key. The acclaimed Lemon Hart Demerara rum made a grand return to The Mai-Kai in April 2012, but distribution was halted in 2014, forcing a change to Gosling’s 151 dark rum from Bermuda. While the drink didn’t fall in our rankings, it was missing the spice and sophistication of the Demerara rum. Luckily importer Ed Hamilton (creator of The Ministy of Rum website), brought two new rums from Guyana to market in early 2015, which were quickly adopted at The Mai-Kai to replace Lemon Hart. [See the full story on Lemon Hart and Hamilton rums] It adds a great deal of assertive, smoky flavor to the Special Planters. Jamaica’s Appleton Special is the perfect gold rum for this Planters (or sub Appleton Estate VX for even more flavor). [More on Appleton at The Mai-Kai] The go-to dark Jamaican rum at The Mai-Kai is Kohala Bay, a funky 87.6-proof expression that combines with the 151 Demerara rum to create a unique taste. Donn Beach likely used the old Dagger “punch brand,” the ancestor to Kohala Bay. Click here for more info on this rare rum, which has luckily become more easily available since we first discovered it several years ago. If you don’t have a bottle handy, try mixing equal parts of El Dorado 12 and Smith & Cross Jamaican Rum. * The combination of Angostura bitters and Pernod was considered one of Donn Beach’s “secret ingredients,” employed in both the Beachcomber’s Punch and Colonel Beach’s Plantation Punch (see Beachbum Berry Remixed), among many other drinks. It works particularly well with dark rums, and we can assume that Licudine was well aware of this when he used it with great results in the Special Planters Punch. 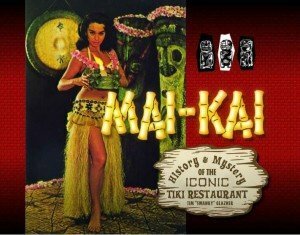 It also should be noted that Bob Thornton, original co-owner of The Mai-Kai with his brother Jack, also had significant input into the creation of the cocktail menu. * The final piece to the puzzle that finally led to the creation of this tribute recipe is Don’s Spices #2, another Don the Beachcomber secret ingredient that’s simply a 50/50 mix of allspice liqueur and vanilla syrup. It’s also featured in the Black Magic and Samoan Grog tributes, providing the spice of pimento dram tempered with the sweetness that’s the signature of The Mai-Kai’s accessible cocktails. Allspice liqueur contains Jamaican rum, and was created on the island using allspice (aka pimento) berries and spices. It’s perfect in a Planter’s Punch. B.G. Reynolds sells a bottled verson of Don’s Spices #2. If you already have allspice liqueur (as you should), just make up a separate bottle of Don’s Spices #2 by using vanilla syrup (also available from B.G. Reynolds, among others), and keep it handy for use in these Mai-Kai classics. This entry was posted in Cocktail reviews, Cocktails, Cocktails, History, Mai-Kai, Recipes, Rum and tagged Beachbum Berry, Don The Beachcomber, Don's Own Planter's, Mai-Kai, Mariano Licudine, Planter's Punch, recipe, rum, Special Planters Punch. Bookmark the permalink. You mean you just stir honey and water together and don’t heat it to boiling? Have I been stinking up the house all the years for nothing? And then waiting for it to cool so I can make another drink? Do you know how quickly honey boils over and the stove smells of burnt honey for a month? I prefer the 1 to 1 ratio simply because it makes the math easier. If a drink calls for 1/2 ounce of honey, I know I need 1 ounce of mix. But what of honey cream??? Swanky, good point. I’ve seen instructions to heat the honey but in my experience it’s not necessary, unless you’re operating a Tiki bar in sub-zero temperatures :>) … I noticed that all of Jeff’s books mentioned heating until “Remixed,” which just says to mix with hot water. If I’m making a small batch, I just use room temperature bottled water and it works fine. I’ve played around with both ratios. It really depends on the drink. The Planter’s is just fine with regular 1:1, but something like the Moonkist Coconut just begs for the 2:1 mix. Of course, honey cream (unsalted butter and honey) is a lot trickier, and richer. It’s hard to keep so you have to make it on the fly as you’ve probably discovered. Have you tried freezing it? I talk about it in my Gardenia Lei review and ancestor recipe. One of the best, I use .75 Appleton rare, 3/8 El Dorado 12. 3/8 Smith & Cross, .5 LH 151, 1 frozen MM lemon juice, .75 honey syrup, 1/8 Don’s spices, 5 drops Pernod (use an eyedropper) , 2 dash Angostura. Shake clear cracked ice, mai tai glass, pineapple spear. Superlative mix. It’s a 5 star!